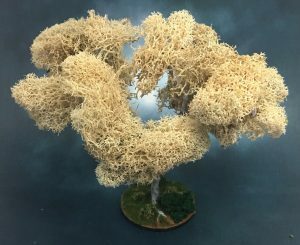 I saw a nifty tutorial on how to make wireframe trees on YouTube, so I thought I’d try my hand at making some as scenery for the tabletop. I’ve also been thinking about making some tents and peasant huts, so maybe I’ll have more terrain pieces here in the future. 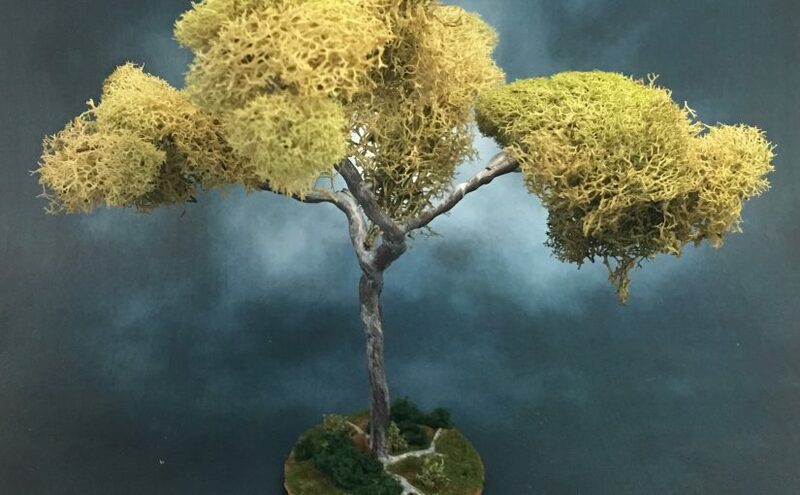 Three of the trees have moss stuck to the branches with hot-glue. 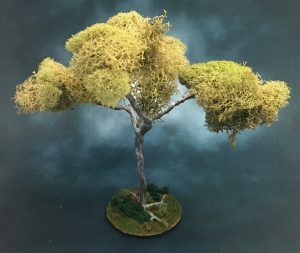 The other has Woodland Scenics vegetation. 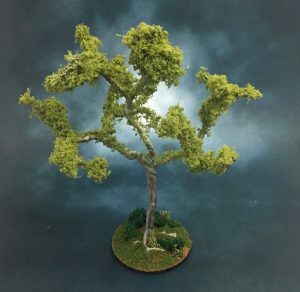 They look nice to me, but I worry that they would obstruct the view of the tabletop and make it hard to move minis around without knocking over the trees, which would knock over other minis, etc. I’m tempted to make more and just leave them as bare wire. 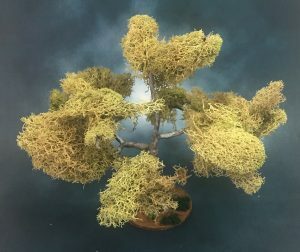 That gives them a cool winter or dead tree look and they obstruct the view much less, with the disadvantage of getting pricked by the wires every time you handle them. Shrug.